Friday evening found the Egyptian Theater's Nick Drake tribute, “A Place to Be,” quite packed. There was a Los Angeles premiere of A Skin Too Few, Jeroen Berkvens’s documentary on the songwriter, as well as a collection of video tributes, and perhaps most interestingly, a Q & A session with producer Joe Boyd, former friend Robin Frederick, and sister Gabrielle Drake. The documentary itself was really visually beautiful to watch, actually, with lots of footage of the Drake home in England, large and elegant, surrounded by a lot of green, fairly isolated. There was footage of Cambridge, an equally beautiful campus where he apparently screwed around with his guitar and did a few drugs, and home movies of the Drake children playing at the beach when they were very small. 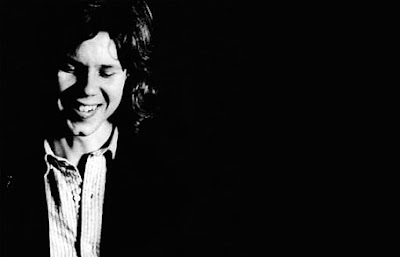 One of the big themes of the film was of how no one seemed to know Nick Drake, and judging from the Q & A session afterward, it seemed even those closest to him were just as at a loss for what he was like as a person – his sister (the only living family member who now controls his work) would precede statements by acknowledging that every move she makes with his music on a commercial level is something she “thinks” he would or wouldn't approve of, though she never seemed 100% sure and said she tried to treat him as a living artist. And then there was friend Robin Frederick, who claimed that she and Drake would sit in her room and play folk songs to each other without talking when they were 18 or 19. Frederick also sat down to a keyboard and dissected Nick Drake's songs, showing us the complexity of the chords in “River Man” and the child-adult relationship between verses in “Fly,” noting that in the latter, the sadness came when the adult won out, and in “River Man,” that chord choices made it so that the song was likely written first on piano and adapted for guitar. Her lessons seemed a bit too thought out, sort of like the way in which an English teacher requires a class to dissect a poem (can be worthwhile, but not for everyone). And just as Frederick kept pointing out that she herself is a songwriter, the strange thing about people not being able to say much about Nick Drake's personality is that I'm unsure of whether people who volunteer to speak about him actually have insight to offer, or whether they're milking their connection to a talent who can't deny them the right because he's not around. It's hard to say when the person spoken of can't confirm whether memories are accurate or not. Still, Frederick may very well have accurate memories of Drake, as she contributed to the liner notes of the 108-page booklet that will be included in an update on the Fruit Tree boxed set, which will be out on October 29 and will include a DVD of A Skin Too Few. What Gabrielle Drake expanded on, related to Nick's place as a songwriter, is that he wanted to send some sort of message out to people through his music, and sort of gave up after realizing that he had no more songs to write. The lyrics of "Hanging on a Star" were said to reflect his frustration with people close to him acknowledging his musical genius, while he was forced to move back home and had no money or fame to show for those brilliant songs. And supposedly he prematurely ended his only US tour because his pub shows found him frustrated at audience members who talked through his sets, impatient that he spent tons of time tuning his guitar and staying silent. As Gabrielle put it, he would re-tune his guitar for every song and "didn't have any jokes." Pertaining to family, one of the highlights of the documentary is Gabrielle Drake's noting that Nick was highly influenced by their mother, Molly – she played a tape recording of their mother singing and playing piano, and it turns out that her music was just as gorgeous and dark as Nick's. Gabrielle said that while there are no more Nick Drake recordings to release on future posthumous albums, there are plans in the works to release recordings by Molly Drake, which will be absolutely fantastic. Side note: It is extremely odd from a fan standpoint to wash your hands in the restroom next to Gabrielle Drake, thinking to yourself, hmm...Nick Drake's sister just used the toilets.